The contracts have been signed, and NASA's ready to go. NASA is returning humans to the Moon — with a little help from its friends. Back in September, NASA unveiled the National Space Exploration Campaign, a detailed plan for the future of space exploration. One of the plan’s five stated goals was to send astronauts to the surface of the Moon for extended missions, and on Thursday NASA unveiled the private companies that’ll help them get there. During a presentation streamed live via NASA Television, YouTube, and several other outlets, NASA Administrator Jim Bridenstine announced that NASA has awarded Commercial Lunar Payload Services contracts to Astrobotic Technology, Deep Space Systems, Draper, Firefly Aerospace, Intuitive Machines, Lockheed Martin, Masten Space Systems, Moon Express, and Orbit Beyond. Essentially, NASA is paying these companies to transport both people and cargo to and from the Moon. The idea is that having these companies compete with one another while also servicing customers besides NASA will lower the cost of lunar transportation. This isn’t the the first example of NASA partnering with private companies. 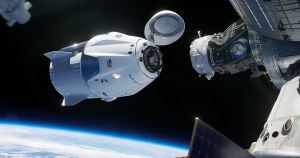 Both SpaceX and Boeing are developing crafts to transport NASA astronauts to and from the International Space Station as part of the agency’s Commercial Crew Program. NASA is also currently working with six private companies to develop 10 “tipping point” technologies it believes will benefit future missions. NASA has previously stated it hopes to have humans orbiting the Moon by 2023 and actually landing on it before 2030 — and now we know exactly which companies will help it meet those goals.